It’s not often that we see modern homes over 5,000 square feet. Most were fairly modest, usually coming in at around 2,000 sf or maybe even smaller, although sometimes up to about 3,000 sf if the owners were well-off at the time. 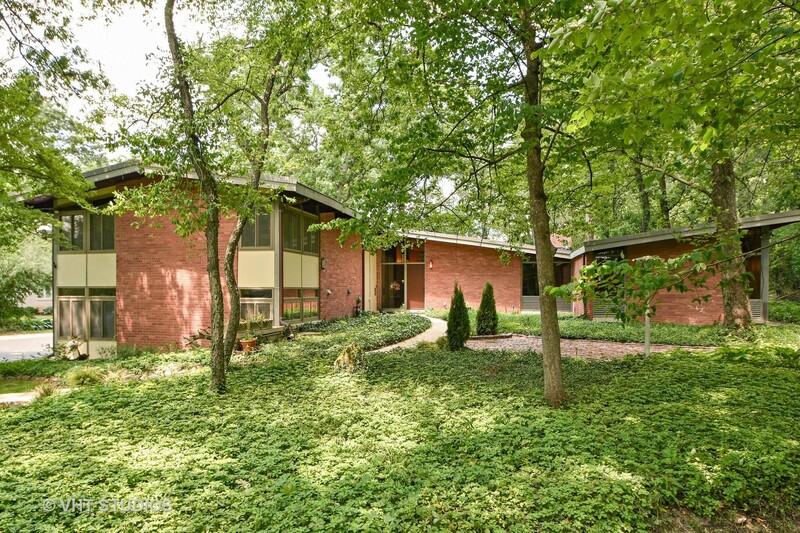 So this mid-century split is quite the surprise, comprising 8 bedrooms among other spaces, and showcasing many large windows, exposed glass, beamed and planked ceilings, and multiple levels of living.